After a dreadful 2010, health-care stocks like Pfizer, Medtronics and Johnson & Johnson could make a full recovery this year. 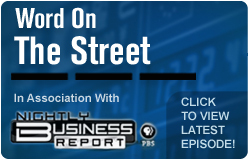 Editor's note: As part of our partnership with PBS's Nightly Business Report, TheStreet's Gregg Greenberg joined NBR on Tuesday (watch video and read transcript) to discuss the prognosis for health-care stocks in 2011. Health-care stocks barely budged last year as concern over new legislation and a widespread preference for growth stocks left them out of the broader equity-market rally. But with the sector already outpacing the S&P 500 in 2011 -- racking up first-quarter returns of 6.3%, second only to energy stocks -- two fund managers believe this year will be different. "Because the sector lagged in 2010, it sets itself up with some great risk/rewards," says Michael Liss, manager of the American Century Value Fund ( TWVLX - Get Report). "The valuations are cheap, and we think the fear over the new health-care law is overblown. Put this all together, and we think they are going to have some movement in 2011 to reflect some better fundamentals." Liss is bullish on Pfizer ( PFE - Get Report), which he thinks will benefit from its acquisition of Wyeth. "The Wyeth merger presents them with some great opportunities to take out some costs," Liss says. "Moreover, they have some interesting drugs in the pipeline. They have a drug for rheumatoid arthritis, which we think will get through its Phase III trials and get approved by the FDA. And they also have a lung cancer drug, which is another big opportunity." Liss is also hopeful that Johnson & Johnson ( JNJ - Get Report) can rebound after a year plagued by recalls. "The barriers are not insurmountable," he says. "It's a lot of blocking and tackling and simple execution. They should have had higher-quality control standards, and we are disappointed, obviously, as shareholders. But that presents the opportunity. And we think the free cash flow yield on this one is pretty good so the valuation is excellent. We are talking about an 8% or 9% cash flow yield on a very solid company." Robert Zagunis, manager of the Jensen Fund ( JENSX - Get Report), also sees some winners in the health-care sector, including Medtronic ( MDT - Get Report), a medical device manufacturer he says was held up last year in part due to the economy. "A lot of people would defer some of their elective surgeries up to a point because they were feeling poorer," Zagunis says. "Two things have happened since then. The economy has gotten better and the need for that operation has become more acute. So the use and need for those products have improved. And, at the same time, Medtronic is expanding internationally in a very good way." Zagunis thinks demographic trends should support Stryker ( SYK - Get Report), a knee- and hip-implant specialist, as the American population gets older. "The addition with Stryker is that they have a remarkably strong balance sheet with over $10 in cash per share on their balance sheet and no debt. They also have expansion plans that support performance in the next several years." Liss agrees with the "aging of America" argument, but prefers Zimmer ( ZMH to Stryker. "They are both good companies, but we are more disposed to Zimmer because they are more of the pure play on orthopedics," Liss says. "They have 75% of their business coming from hips and knees. They have a very good balance sheet and a good market-share position. And we think they are going to benefit from the new health-care law as more people gain eligibility and can utilize those products." As for the specter of so-called "ObamaCare" that weighed on the sector throughout 2010, Liss believes UnitedHealth Group ( UNH - Get Report) could actually stand to benefit as the new legislation takes effect. "It's actually going to be pretty good for UnitedHealth coming out of this because they are going to have a lot of opportunity to get new lives under their care," Liss says. "We are talking about 30 million people who will most likely be insured going out to 2019. It will start to pick up in 2014 when the major provisions of the health-care law kick in." He adds, "They have a great market-share position in Medicare Advantage, and the cuts there have been overblown. They have been able to manage through that pretty well." >>To see these stocks in action, visit the 6 Health-Care Stocks for 2011 portfolio on Stockpickr.